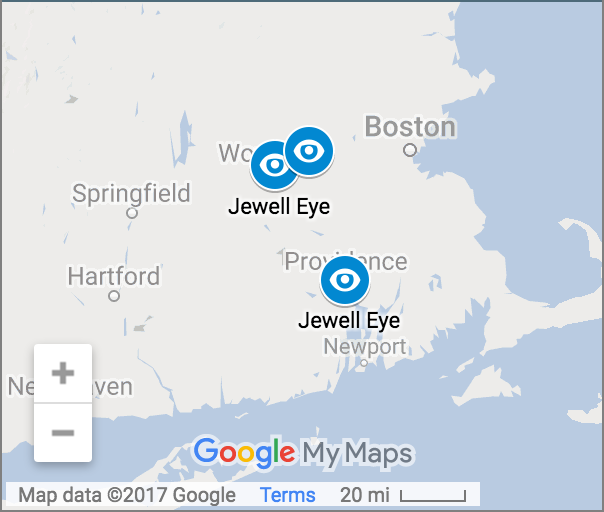 Optometrist in Marlborough, Worcester & Providence | Jewell Eye Inc. Welcome To Jewell Eye Inc. The health of your eyes and vision is your top priority and OURS. Jewell Eye is staffed with compassionate people and multiple doctors who enjoy working with both adults and children. We provide a convenient eye care experience with our friendly informative staff, excellent doctors, extended hours (including nights, weekends and holidays), multiple locations, state of the art equipment and located next to Lenscrafters. At Jewell Eye Inc., our optometry staff works together to ensure your visit is comfortable and completed in a timely manner. Jewell Eye is open every day of the week in three mall settings. Check out our exact hours in each location and book on line or call our office. Handicap accessibility is available. Spanish and English are spoken. Our team will work around your busy schedule and address all your questions. We explain each phase of your appointment prior to the exam. All insurance coverage is explained to the patient. Our staff verifies with the individual’s insurance company all services that are covered by insurance and not covered prior to services. The patient is explained their cost responsibility prior to his/her eye care experience. Jewell Eye’s specialty is contact lenses. Dr. Jewell carries the familiar lenses and the latest technology in contact lenses. She has an extensive inventory. When ordering contacts, the patient receives a courtesy pair of lenses. 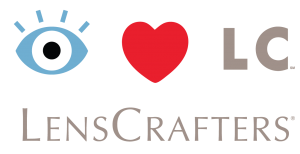 You can pick up contact at the office or have them sent to your home. Whether it’s a general eye exam or treating an acute condition that requires immediate attention, our team provides undivided attention to each patient so we can evaluate a plan based on your needs and our professional opinion. We encourage children to have a full exam at an early age. Our office offers full vision examinations and will diagnose and treat an array of eye diseases and conditions to keep your eyes healthy!